In 2016, Max Verstappen became the youngest podium finisher in the history of Formula One. Since then, the 21-year-old has held onto the record as Lance Stroll missed out by a few days the year after that. After one taste of the feeling, Max has taken a liking to being on the rostrum. Verstappen could not become the youngest ever pole-sitter in Mexico when Daniel Ricciardo went faster than him during his last qualifying lap. However, the Dutch driver has been in sublime form as he has pushed his Red Bull to finish among the top three, eleven times this year. For the Mexican Grand Prix, he slipstreamed past his teammate to steal the lead on the first lap and then gradually built up a gap to grab a victory. He drove in a similarly admirable manner during the Austrian GP, making full use of the strategic mistakes of Mercedes and his own overtaking skills to reach the top step of the podium. 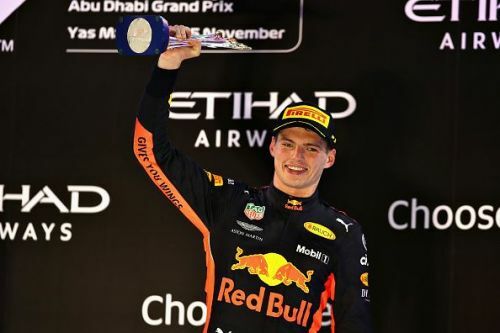 Verstappen snatched the fourth place on the driver’s standings from Valtteri Bottas during the ultimate race of the year in Abu Dhabi. In the second half of the season, he strung together five consecutive top-three finishes to make the switch in the table possible.